80 Days contains vignettes about queer characters, which populate the world and make it more vibrant. There is an interesting relationship mechanic with Fogg, who the player-character (Passepartout) acts as a valet for; if Fogg's health deteriorates to the point of his death, the game ends, regardless of the player-character's own health. There are implications that this relationship is not simply platonic, but this is speculation and the relationship mechanics are interesting without a canonically romantic, queer relationship. Passepartout is able to pursue both male and female love interests. One of these potential love interests in 'Death', who is actually Octave (a man) wearing a mask for Mardi Gras. 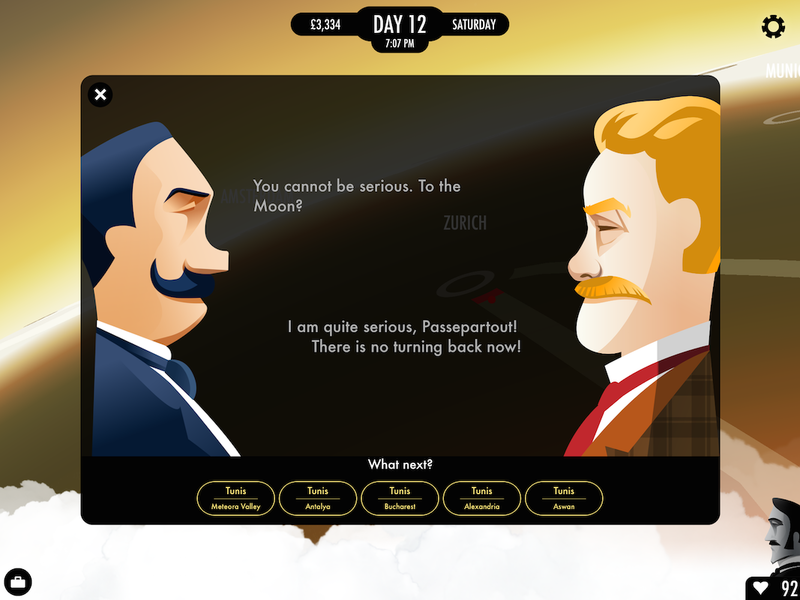 He expresses attraction for Passepartout after they spend an evening together, and the player can choose to reciprocate.